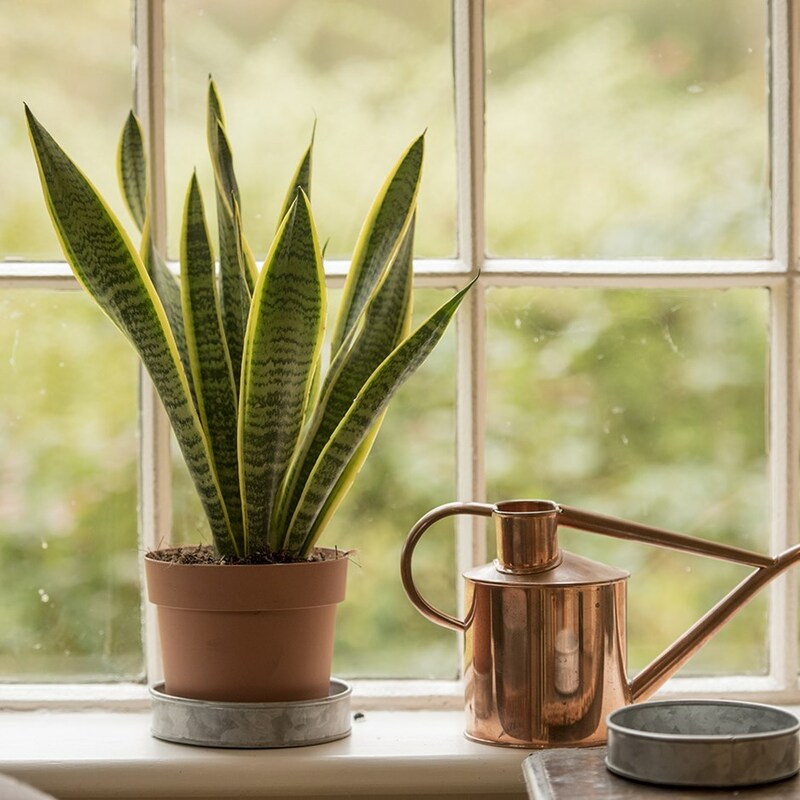 The aesthetic pull of houseplants is undeniable, with the trend moving from vases of blossoming flowers, to us now embracing the simplicity and calming qualities of green plants. Growing research is supporting the idea that bringing nature into your living space not only enhances the beauty of your home but can also boost your health and happiness. Green has long been celebrated for it’s zen like qualities, symbolising vitality and growth. In Japan they consider it the colour of eternal life, and in Buddhism it’s the colour of the heart chakra, believed to connect the spiritual and physical worlds; heightening awareness, and allowing one to experience love and compassion. The belief in the therapeutic qualities of green and nature, has led to the Japanese practise of Forest Bathing , literally ‘being in the presence of trees’. Numerous studies have supported that this practise not only benefits one psychologically, but also physiologically. Your body actually reacts on a cellular level to being in the presence of nature: lowering cortisol levels, blood pressure, and improving fatigue and immune function. This ‘magical’ reaction is thought to result from, in part, the inhalation of phytoncide, a compound plants emit to protect themselves. We are fortunate enough to be able to benefit from it’s protective qualities too. NASA have further supported the remedial benefits of nature, referring to plants as “Life’s natural life support system”. They actively promote the presence of plants in the home, to combat Sick Building Syndrome (SSB). SBB results from the inhalation of volatile organic compounds (VOC’s) such as benzene, toluene, xylene, and formaldehyde. These household pollutants are emitted from fabrics, cleaning products, paints, etc and contribute to wheezing, headaches, fatigue, skin irritation, and depression . Plants can help remove these health hazards from the air, leaving air good enough to breathe. 1 SANSEVIERA- Otherwise known as Snake Plant is highly recommended for improving air quality. What is wonderful about this highly resilient plant, is that it also releases oxygen at night, and thus is perfect for those who have sleep problems. It helps you breathe easier and sleep sounder. 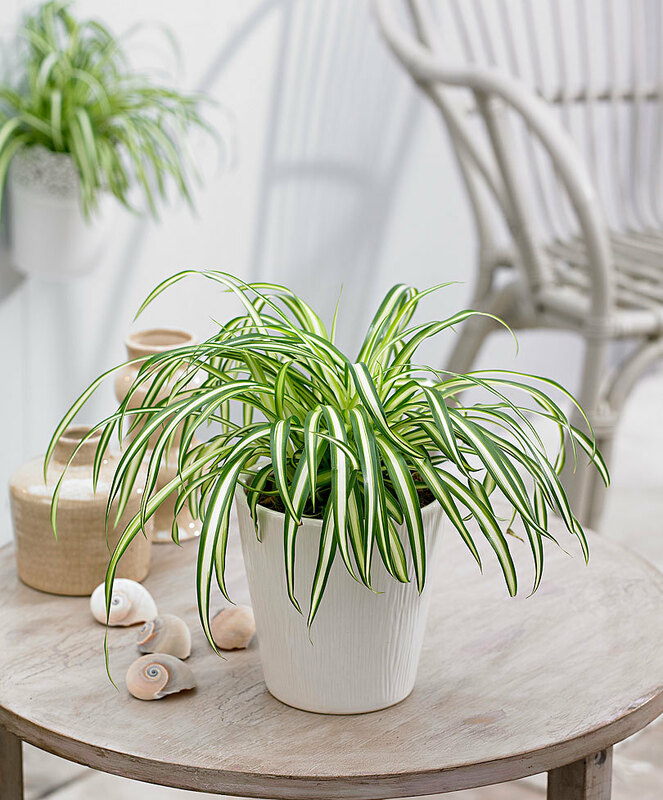 2 SPIDER PLANT- Perfect for those with pets, as it can battle the air pollutants, while being non-toxic to animals. Again it is easy to care for, and you can easily grow a family of them by simply repotting the tiny ‘spiderettes’. 3 ALOE VERA- This healing and stylish succulent plant, is perfect for placing in a sunny spot in the kitchen. It is highly apt at detoxing the air of benzene and formaldehyde, while also offering skin healing properties. The gel inside is packed with anti-inflammatory enzymes that are thought to soothe burns, and other skin conditions such as eczema and psoriasis. 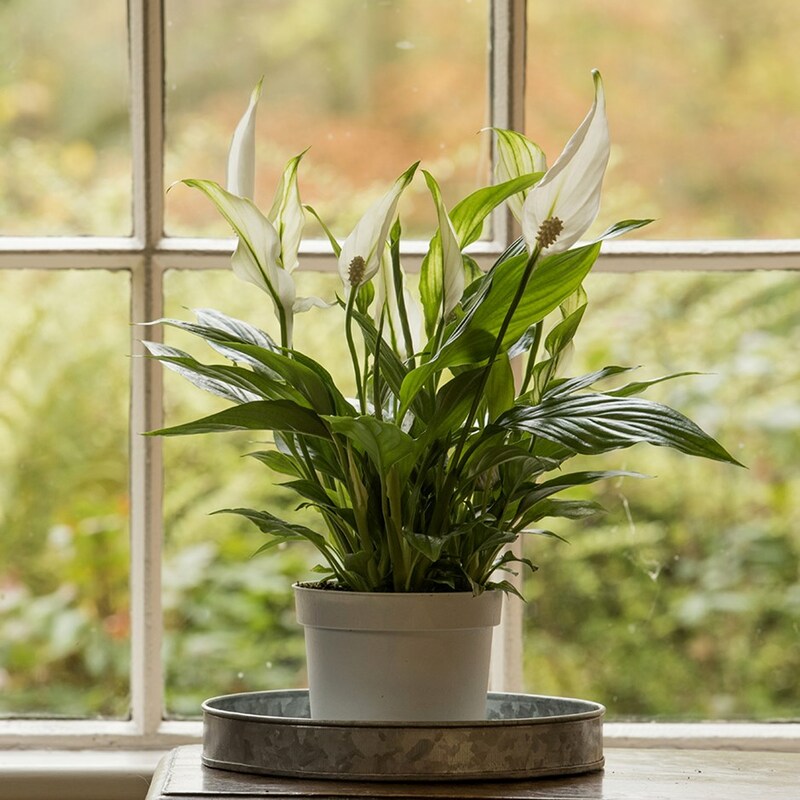 4 PEACE LILLY- For those who want flowers with their greenery, this elegant plant is the perfect solution. As well as absorbing VOC’s it is able to remove mould spores from the air, so is perfect for bathroom adornment. These are just a few of the wonderful array of houseplants now available. Let’s all treat ourselves to some ‘eco- therapy’; rejoice in the power of plants, and their wondrous ability to enhance our emotional and physical wellbeing.